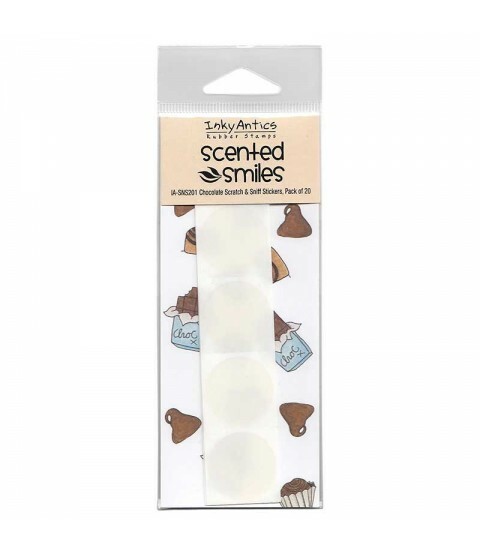 Add scratch & sniff stickers to your stamped cards for a burst of fragrance. Place the scented clear sticker over its coordinating image, and the recipient can scratch and sniff the yummy scent! 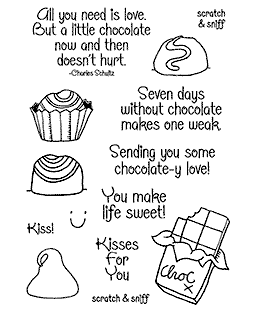 Pack contains twenty 1" clear chocolate scented stickers. Perfect for adding a scented surprise to your cards.